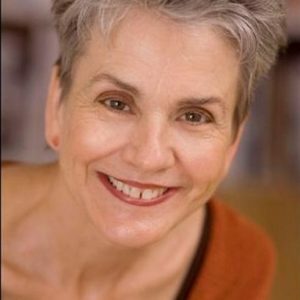 Frances Moore Lappé is the author or co-author of sixteen books, including her 1971 bestseller, Diet for a Small Planet, which awakened readers to the human–made causes of hunger and the power of our everyday choices to create a hunger-free world, and most recently World Hunger: 10 Myths (2015). Her books have been translated into 15 languages and are used widely in university courses. The Smithsonian’s National Museum of American History in Washington, D.C., describes Diet for a Small Planet as “one of the most influential political tracts of the times.” In 2008 it was selected by members of the Women’s National Book Association as one of 75 Books by Women Whose Words Have Changed the World. Lappé was also named by Gourmet Magazine as one of 25 people whose work has changed the way America eats. She co-founded the Oakland-based think tank Food First in 1975. Its publications continue to shape the international debate on the root causes of hunger and poverty. In 1990 she founded the Center for Living Democracy to help accelerate the spread of democratic innovation and also served as founding editor of its American News Service. In 2001 she and her daughter, Anna Lappé, founded the Cambridge-based Small Planet Institute, a collaborative network for research and popular education to bring democracy to life. In the same year they co-founded the Small Planet Fund, which channels resources to democratic social movements worldwide. In 2007 Frances Lappé became a founding member of the World Future Council. In 1987 she became the fourth American to receive the Right Livelihood Award for her “vision and work healing our planet and uplifting humanity.” She received the James Beard Foundation Humanitarian of the Year Award in 2008 for her lifelong impact on the way people all over the world think about food, nutrition, and agriculture. Other notable awards include a Lifetime Service to Increase Planetary Awareness Award in 2006, the International Studies Association’s 2009 Outstanding Public Scholar Award, and in 2011 the Nonino Prize in Italy for her life’s work. Frances Moore Lappé serves on the National Advisory Board of the Union of Concerned Scientists, on the International Board of Advisors of Grassroots International and on the Value the Meal Advisory Board of Corporate Accountability International. She is also a member of the Sisters on the Planet network, a part of Oxfam America, and makes frequent media appearances. Contact Frances Moore Lappé about speaking terms and dates.